1st edition. 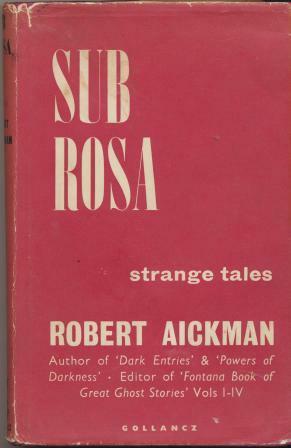 "Sub Rosa" is one of Robert Aickman's best works. The book contains some of Aickman's longer stories. Copies of The Salix Arcanum have arrived safely, we are waiting on Serpentine Supplications and the Sarob Press title 'Their Dark & Secret Alchemies' will be here just after the Easter Bank Holiday and shipped to you all then.